Click on your profile photo in the top right corner and then 'My Meetings'. 3. 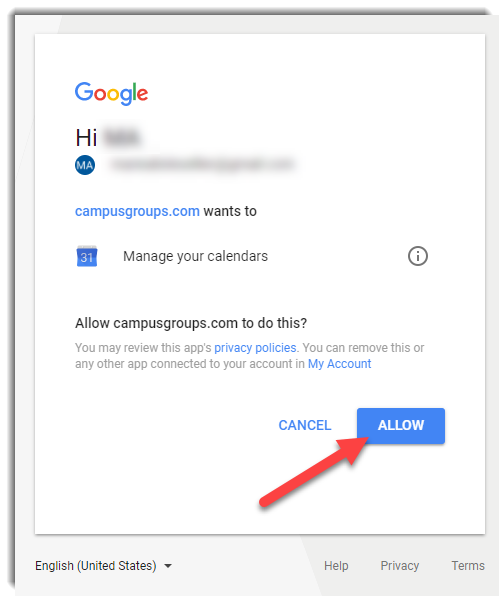 In order to create Meeting links, you first need to synchronize your CampusGroups account with either Officer365 Outlook Calendar or Google Calendar. This is how to check your availabilities in real time. You may skip to step 8 if you have already synchronized your calendar with CampusGroups. 4. 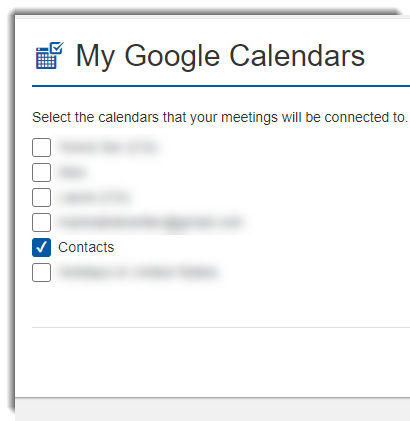 Select your primary Calendar system (in this example, we will use Google Calendar). 5. Select which Google account you wish to synchronize with. 6. Click on 'Allow'. 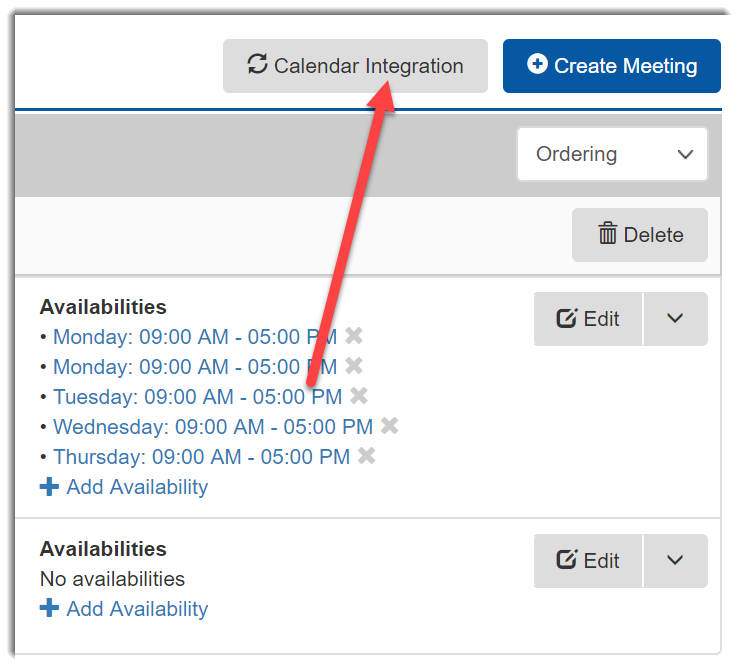 This will allow CampusGroups to add meetings to your calendar. 7. 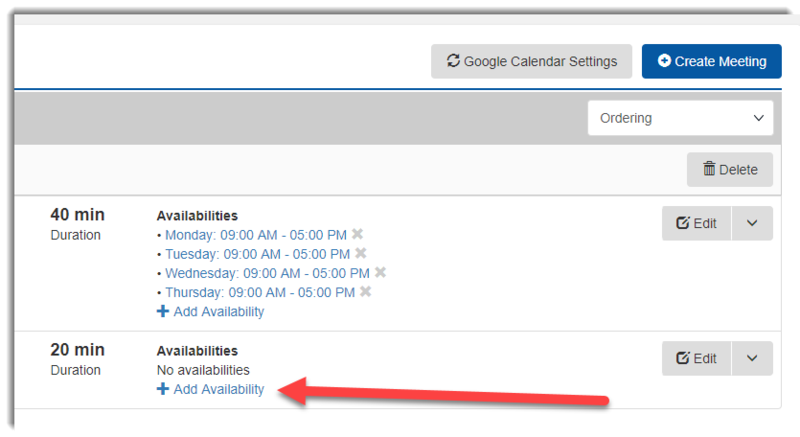 Select the Calendar(s) you wish to check your availability against (it could be just 1 calendar or several calendars). 7. Click on 'Save'. You're now ready to create your first Meeting link! 8. Click on 'Create Scheduler'. Start date: Date and time before which you are considered unavailable regardless of your calendar availabilities. Leave empty if this does not apply. End date: Date and time after which you are considered unavailable regardless of your calendar availabilities. Leave empty if this does not apply. Time zone: very important one, choose your time zone carefully to match your current location. 11. Now, please specify which weekdays you are available and from what time to what time. You can specify several available time windows on the same weekday. Click on 'Add Availability' to get started. 12. 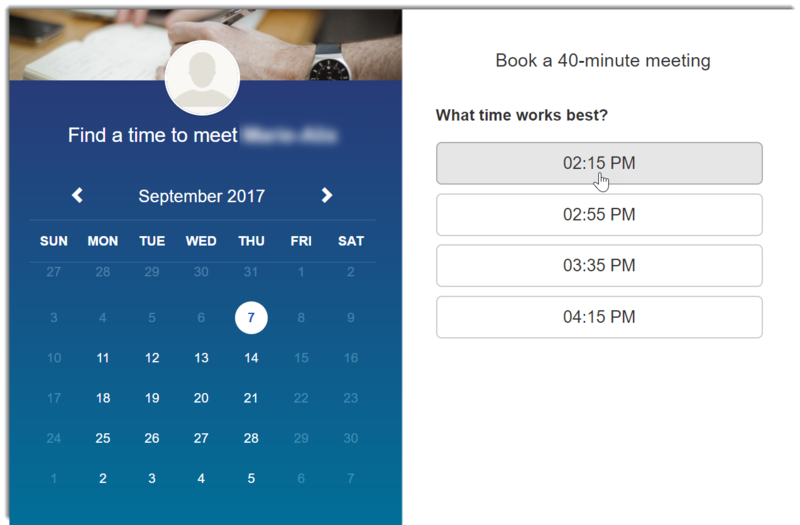 Complete the form and click on "Save & Create Next" to create the same availability on the following weekday. 8. Do the same for all days of the week, then click on 'Save & Close'. Your available time slots are now live and displayed on your meeting page. 9. You're all set up! 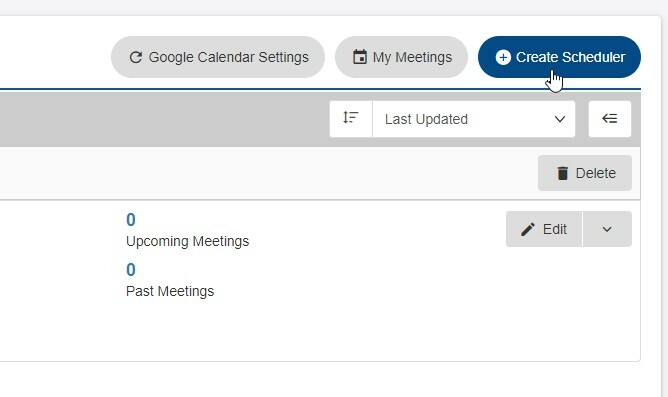 You can now share your Meeting link with anyone, and they will be able to browse the calendar, find an adequate time slot, and book directly from the Meeting page. 10. 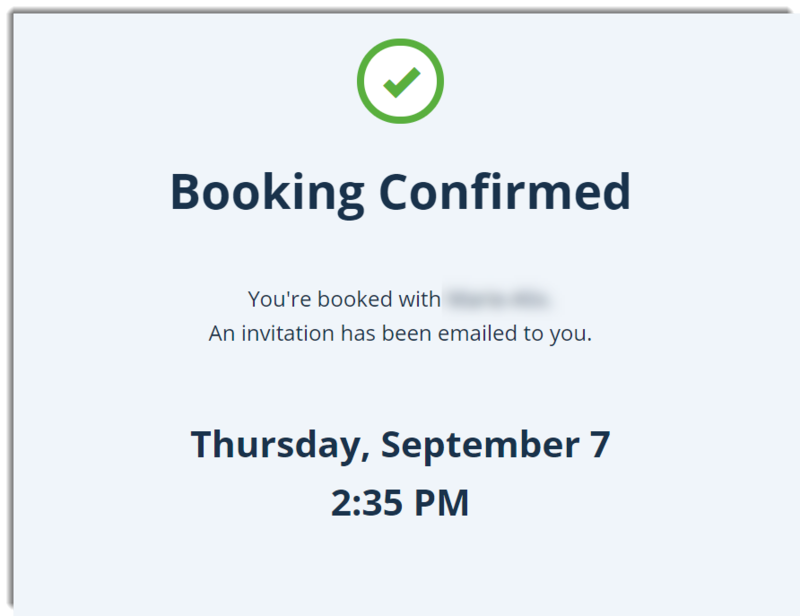 Once a meeting is booked, both you and the other person will receive email notifications from Google Calendar or Office365. The meeting will be added to both your calendars automatically. 11. If you need to cancel a meeting, cancel it directly from your personal calendar and both parties will be notified.